Daily Debate: How Soon is “Too Soon” For a Remake? When it comes to remastering old games, there’s often a very big argument about whether it’s “too soon” to make it, if the game is too new for a remake; we saw all kinds of arguments like this last year, back when The Wind Waker HD was released, and it’s become a really big issue with other remakes like the new Pokémon Omega Ruby and Alpha Sapphire. Within the Zelda community, and at Zelda Informer especially, we’re constantly arguing about this kind of issue; should a Majora’s Mask remake be put into production, or is the game too new to do so? Should the next remake instead be for something like A Link to the Past or the original Zelda? Could we make a remake for something newer, like Twilight Princess, or even Skyward Sword? For me, personally, when it comes to making remakes of games, it’s hard to put down a specific age for the game before it’s acceptable. Generally, it’s just about accessibility; can new fans of the series play this old game easily, and understand it, or is it too old for them to do so? Look at Link’s Awakening DX, for example; the original game was only five years old when this game was released, yet this remake is generally accepted and loved by all fans. Why? Because the original game was in black and white, for a very low-capacity console, and it would be very hard for young people to play and enjoy a game like that, both back then and today. Twilight Princess, on the other hand, is a lot older than Link’s Awakening was back in 1998; it may seem a little hard to believe, but Twilight Princess is already eight years old. Does this mean that a remake is overdue? Personally, I don’t think so; Twilight Princess is perfectly accessible to anyone who has a Wii, or even a Wii U, and it still looks and plays perfectly well by today’s standards. It’s still a very complex debate, and there really is no real answer; it all depends on what we, as fans, want Nintendo to make, and how much we love the games that are being remade. The consensus on this issue will always change, and there won’t just be a set number of years that we can say is the “appropriate amount of time”. What do you think? 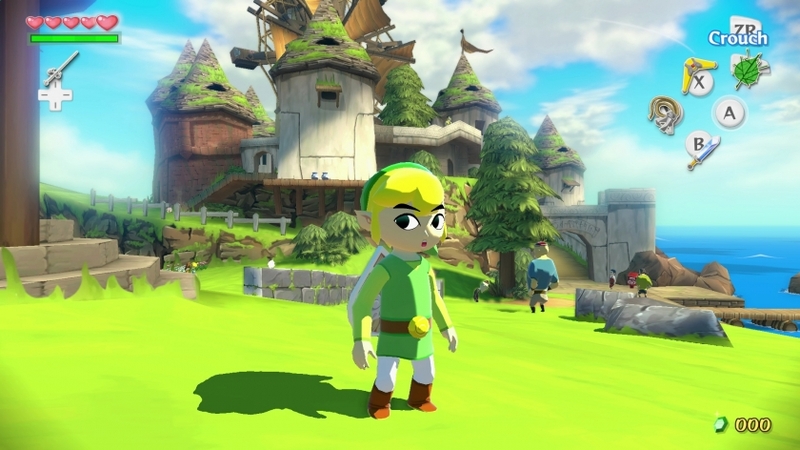 How much time should pass, generally, before Nintendo remakes a Zelda game? Does the existence of the Virtual Console change anything? What games do you want to see remade?